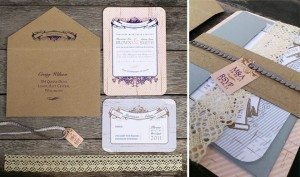 Today we have a guest blog from Riz at Beech Tree Creative with some excellent tips and suggestions on what you have to know about ordering stationary for your big day... Thanks Riz! When a couple starts planning their wedding, they have a lot of things on their minds. They have to choose the dress, the ring, the reception, the service, the flowers, the photography, the guests and the invitations, it's a lot! and feel of your wedding invitations? stationary will be should be taken with time and care. When should I order my stationary? 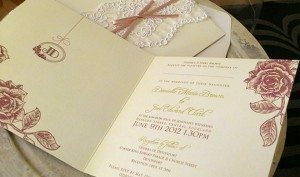 You should give yourself enough time to find a wedding invitation suite that matches your bridal style or the theme for the wedding and order the pieces needed at least 4 months prior the wedding. Invitations itself can be a 4-6 weeks process. When should they go out? Save the Dates - Usually, these arrive six to eight months before the wedding. Will be best to extend this to 12 months if you are expecting guests from overseas. 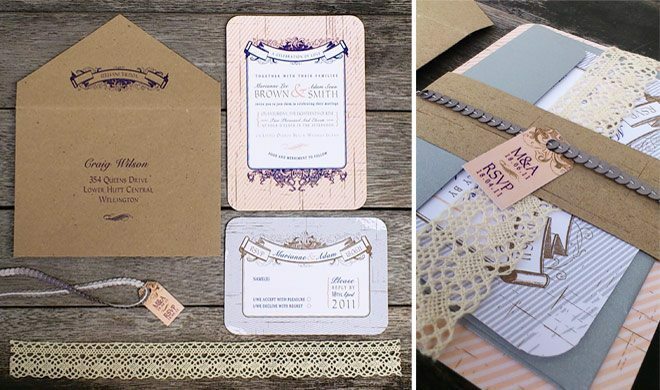 Invitations- Invitations should be mailed six to eight weeks before the wedding if a save the date has been sent. If a save the date has not been sent you need to send them earlier. What other stationary do I need to order? Complete your wedding suite with menus, place cards, favour tags, programs, information cards and a seating chart. These pieces should be ordered seven to ten weeks before the wedding. It is important for the invitations and the rest of the stationery to have consistent design. Do I need to order extra pieces? You should always order 5-10 extra just in case you have forgotten to add someone to the list. This will save you the stress as reorders could take an awful lot of time, which you won’t have in the last minute. Here at Beech Tree Creative, we can take you through all these steps in a hassle free process.